DO Listen: Pay attention to exactly what it is that the client is looking for from your company. Each client will be looking for something unique, which means that you’ll need to have a thorough understanding of what your company has to offer. Listen for the issues, take notes, and provide solutions! I can always count on my trusty notepad and BIC Ballpoint Pen for keeping notes during prospective client meetings. DON’T Generalize: A quick way to turn a client away from your company is preparing a one-size-fits-all solution. Be sure that you’ve taken the time to fully assess what you can offer the client for their unique needs and tailor your proposal to them as much as possible. DO Problem Solve: Take time to meet with your team and plan a detailed solution for your client that fits your skill sets. Keep your team, and yourself, in check when it comes to providing solutions and be sure that you can deliver work you’re proud of. I’ve found that our clients appreciate having a solution in-hand, so my team puts together our proposals with our Swingline Manual Binding Machine. It allows us to organize a professional outline and our clients always leave the meeting impressed. DON’T Promise the Moon: On the other side of creating a thorough solution is over-promising. When bringing on a new client, it’s easy to promise the moon from your team. Be sure that your solutions are realistic in both the end goal and the timeline. DO Communicate: Do your best to make yourself open to client communication during onboarding. Your future client wants to know that even after they’ve signed on with you, you’ll be open to answering any questions or concerns. Stay in contact and you’ll have a lifelong client! DON’T Overwhelm: While open communication is wonderful, it can easily overwhelm a client when you offer up a daily email or phone call. Stay open and available, but keep yourself in check when it comes to checking in. Of course, these tips aren’t a complete guide to onboarding a prospective client! One of the best guides that I’ve found for this process is from Hubspot. 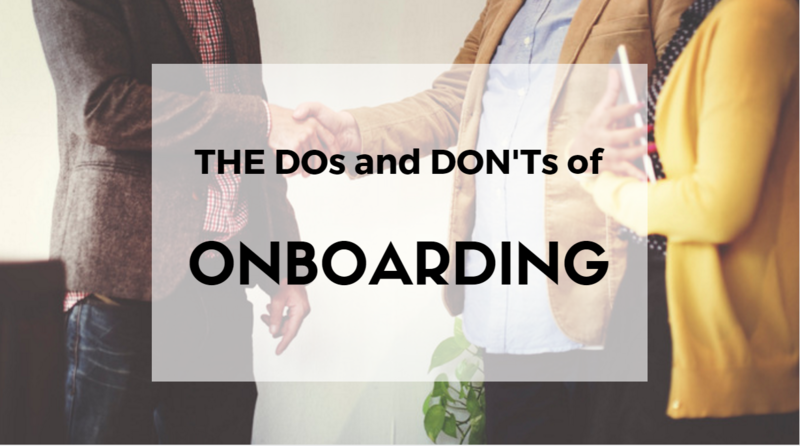 It’s full of wonderful tips for staying on track with a client throughout onboarding. Take a look here.